The next big sporting event is upon us...The Winter Olympics! Little Passports Teaches You The Symbols of the Sochi Spirit in the 2014 Winter Olympics! The Winter Olympic Games take place in Sochi, Russia this year! Host Countries and Cities love incorporating distinctive cultural details throughout each Olympics to share their history and spirit with the world. What are some features that make the 2014 Winter Olympics’ symbols unique? Join Sam and Sofia as they learn about three of the Sochi Games’ distinctive symbols—the torch, medals, and mascots! The countdown to the Games kicks-off with the Olympic torch relay, which delivers the Olympic flame from Olympia, Greece to the Host City through a series of runners. 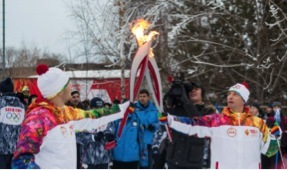 For the Sochi Games, each runner carries an eye-catching, red and silver torch. The torch’s curved shape is inspired by the feather of the golden Firebird, a mythical creature celebrated in Russian fairytales and folklore. 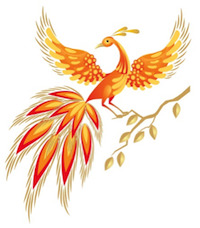 According to one legend, the Firebird’s feathers “light the way” and bring good fortune and happiness. You might notice patterns inspired by the Firebird and its feathers throughout the Sochi Games. For example, look for them on Team Russia’s uniforms! The top three finishers in every event will receive one of the 2014 Winter Olympic medals. They are metal and feature an etched glass-like insert with jagged edges resembling mountain peaks and the seashore. This design highlights Sochi’s unique position between the cold snow-capped Caucasus Mountains and the warm sandy beaches of the Black Sea. The medals also feature the Sochi Olympics’ recognizable “Patchwork Quilt” design, a mosaic of 16 traditional patterns that celebrate Russia’s rich traditions and cultural diversity. Keep an eye out for the colorful quilt design everywhere at the Games, such as on the torch bearers’ outfits and Olympic souvenirs! Sam and Sofia can’t wait to meet the Snow Leopard, the Hare, and the Polar Bear—the 2014 winter Games’ mascots! The Sochi Olympics invited everyone in Russia to submit their ideas for the mascots, and to vote for their favorite from the finalists. Officials selected the top three finishers, representing the three places on the awards podium, as the official mascots. 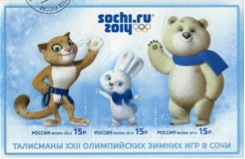 These three native Russian animals represent the country’s spirit and embody the Olympic values. The Polar Bear is depicted as friendly, intelligent and always striving for new athletic heights, while the Hare is an excellent student and loves sports. Tough and strong, the choice of the Snow Leopard, a native of Sochi’s nearby Caucasus Mountains and a critically endangered species, draws attention to Russia’s increasing focus on animal conservation. Look for the three Olympic mascots spreading joy and Olympic spirit throughout the Games! Sam and Sofia can’t wait to join their friends in Russia to support athletes from around the world. They are very excited to keep an eye out for all of these Olympic symbols as they watch the Winter Games this year! Little Passports isn't just for the Olympics. 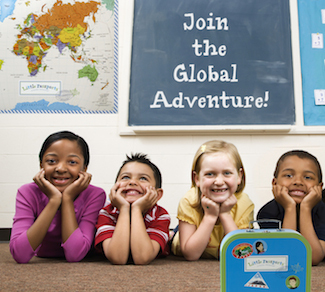 Little Passports enables you to teach your child about the hundreds of different cultures around our world and around the USA. Each month, a package addressed to your kids (which they LOVE) arrives full of little goodies like stickers for their own passport, activity sheets that teach them about major landmarks around the world and gets their brain going with fun word scrambles. Little Passports even shares fun recipes that you can cook up with your kids to turn them into little chefs who know all about foods from different cultures. Subscriptions start at just $10.95/month which is another bonus! This is also the perfect resource for anyone who homeschools out there. Let me know what you think after you get set up with your own Little Passports subscription. DISCLOSURE: I may be an affiliate for products that I recommend. I am grateful to be able to bring you content free of charge, or at a discounted rate. In order to do this, please note that when you click links and purchase items, in some cases I will receive a referral commission. You will not pay more when buying a product through my link. Your support in purchasing through these links enables me to keep my blog running and to continue to grow Happygreenbaby.com, allowing me to keep prices low to help more people afford eco-friendly products. We do not offer items that will spam our readers, and will remove any questionable content immediately. Thank you for your supporting Happy Green Baby! Here's how it works: your community shops at Little Passports and we donate 15% back to your school. They even have a flyer to help you spread the word. We offer several different subscription plans depending on what works best for you. Sign-up for the convenience of our month-to-month plan or sign-up for a set number of months upfront. If you decide to sign-up or gift a set number of months upfront, you can also renew your subscription so your child doesn’t miss out on any adventures. Watch as your children race to the mailbox every month to learn about Sam and Sofia’s latest destinations. 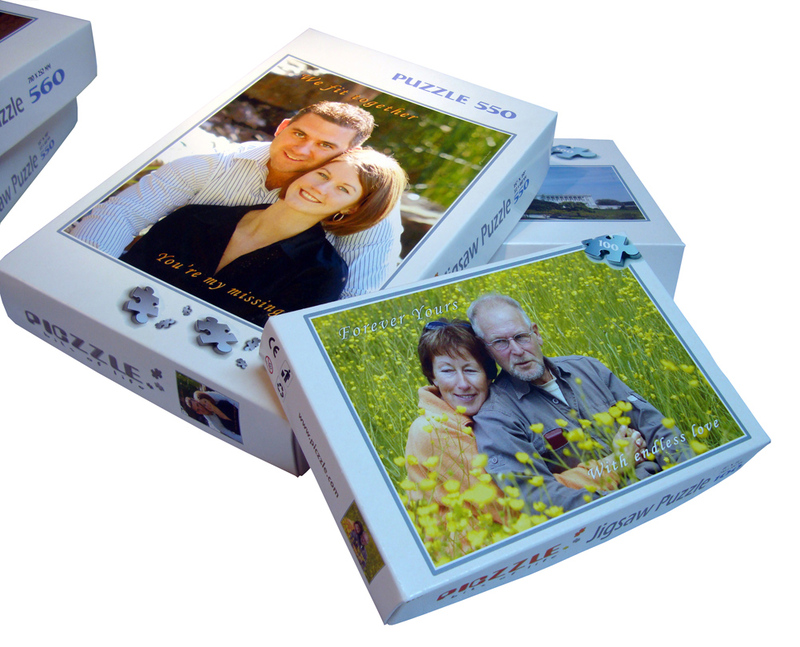 Monthly packages arrive filled with lots of goodies and access to on-line games and activities. What a fun way to take an adventure each month! DISCLOSURE: I may be an affiliate for products that I recommend. I am grateful to be of service and bring you content free of charge, or at a discounted rate. In order to do this, please note that when you click links and purchase items, in some cases I will receive a referral commission. You will not pay more when buying a product through my link. Your support in purchasing through these links enables me to keep my blog running and to continue to grow Happygreenbaby.com, allowing me to keep prices low to help more people afford eco-friendly products. We do not offer items that will spam our readers, and will remove any questionable content immediately. Thank you for your supporting Happy Green Baby! ABCmouse is an on-line kid’s learning site that features a full on-line curriculum for kids: Preschool through Kindergarten (ages 2-6). 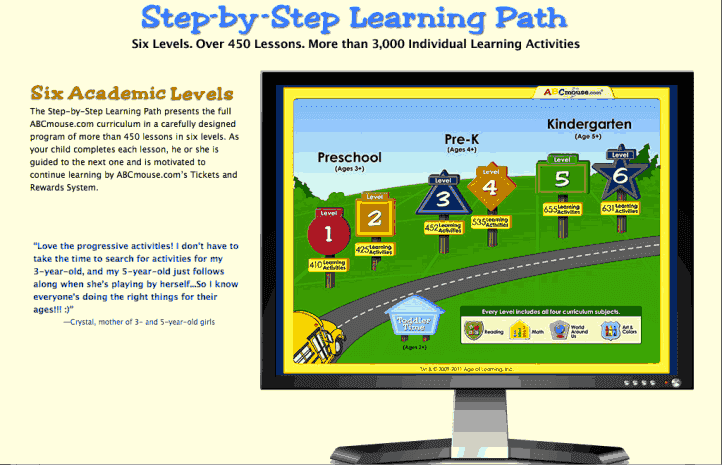 The Step-by-Step Learning Path presents the full ABCmouse.com curriculum in a carefully designed program of more than 450 lessons in six levels. As your child completes each lesson, he or she is guided to the next one and is motivated to continue learning by ABCmouse.com’s Tickets and Rewards System. Try ABCMouse.com for free for 30 days and then tell us what you think about the program! *ENTER BELOW FOR YOUR CHANCE TO WIN! * Our little girl is in a piano program that we love, however the weekly going to and from piano class after school just adds stress to the day with one more place to be and one more thing to do. With a busy school schedule and homework at night, the busy schedule gets to be a little much. But, we also value a music education, which our current school does not offer. When I heard of Hoffman Academy I was very interested in finding out more as it might be the solution to our problem. We would love to have an at home program that is quality, and that would allow us to eliminate the weekly out of the house piano program. The time we would saving driving back and forth to music class is a huge benefit for our family. Another great benefit to the Hoffman Academy is the cost. It breaks down to about $1 a lesson. No, that is not a typo. Each unit cost $19 for materials - that's it! Our current piano program is approximately $13 a week. After trying the Hoffman Academy for a few weeks, I know this is a great way to learn the piano at home. The lessons were easy to understand in lesson 1, and the concepts were what my little girl has been learning in her piano program, so I know they are teaching quality information. Take a few minutes to read about Hoffman Academy and explore their website - it might just be what you are looking for as well. Hoffman Academy brings you the most effective and fun piano lessons you can find on-line today, using the power of great teaching combined with modern technology. How does it work? The program is based on Watching, Practicing and Learning. All the video lessons are free for anyone to watch, but they do charge for the supplemental materials ($19), which can be downloaded and printed from home. These materials are not required for the lessons to work, but they feel students will get the most out of the lessons when they use them. Students can work at their own pace, in the comfort of their own home, to build a foundation for excellent music reading skills and a solid knowledge of music theory. All 41 pages of worksheets and song sheets were designed by Joseph Hoffman to reinforce, expand, and deepen the learning in each lesson. Every video lesson on the website is free. No purchase required at any time. To get even more out of your learning, the Complete Materials for each Unit of 20 Lessons (includes activity pages, sheet music, practice instructions, and MP3 files) costs $19. That’s less than $1 per lesson! Compare that with traditional piano lessons as I did and you will quickly see how much money you are saving. Support - They answer questions from how old children should be to start lessons, to how to find a piano teacher - your questions will be answered. Need to be very dedicated to finding a structured routine that works and stick to it. After you give Hoffman Acedemy a try, tell us what you think!! Happy Green Baby is the official blog of Happygreenbaby.com and we are about living our lives, and raising our children, as friendly to the Earth as we can be, one step at a time. What does “going or living green” mean? For some of us it means composting every scrap of a leftover lunch, cloth diapering, and making organic baby food from scratch. For others, it’s about using only non-toxic chemicals in our homes and recycling. For some of us it is eating only organic food. And for others it’s somewhere in between. Regardless where you fit in the ‘going green’ lifestyle, we just want to spread awareness on what our choices make on the Earth. There is no judgement here at Happy Green Baby! We recoginize the need for everyone to do things in a way that works for themselves and their own family. We are just happy you are here, and hope we can provide a few tips on how to make living a green life easier. Raising children can pose a whole new series of challenges for eco-conscious people. Your new little bundle of joy requires a lot of stuff (diapers, clothes, bottles, crib bedding, nursery furniture, towels, bubble bath, more diapers). As your children grow so does the collection of “stuff” filling up your home. So how do you not become some sort of crazed consumer, filling every room of your home with all the baby (and kid) stuff (you don’t need) that’s bad for you, baby and the earth? How do you handle the less than earth friendly gifts you get by friends and family, who mean well but don’t have your passion for a non-toxic lifestyle? These are some of the questions we are trying to answer for you (as well as ourselves). So what is your next step? Where do you begin? Well, You just did it – you took a first step and you checked out an eco-friendly blog. Continue to follow us and you’ll find quick tips and helpful hints for adding a little green to your daily life. No lectures, no “we’re better than you attitude, no all-or-nothing. Just green ideas for the entire family. Plus, we’ll be showcasing the coolest, eco-friendly baby clothes and gear you’ll find anywhere. Seriously cool stuff. Feel free to comment on our posted questions - or give us product suggestions. Do you write eco-friendly articles and want to be featured on our blog? Contact us at customerservice@happygreenbaby.com. We want to hear and learn from you. We believe raising a Happy Green Baby (and Family) is all about baby steps. 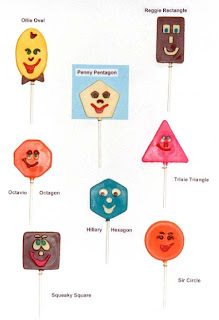 Silly Shapes Pops are a new soft-candy lollipops were developed by Don R. Mueller aka "The Geometry Guy" and hand-made by Mom 'N Pop Inc. 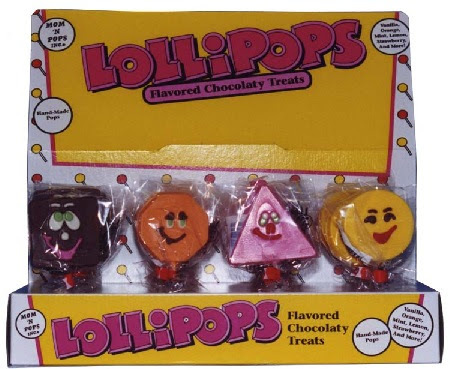 The pops come in 8 geometric shapes, and 7 colors. The shapes included are circle, square, oval, rectangle, hexagon, triangle, pentagon, and octagon. 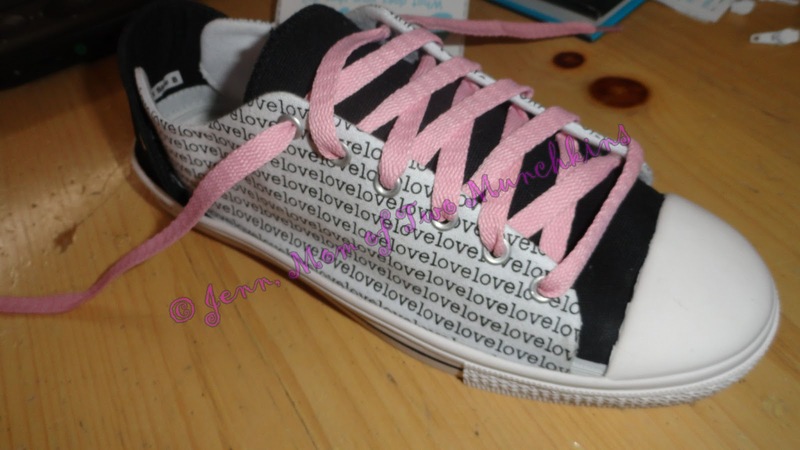 The colors include blue, orange, brown, yellow, pink, and white. 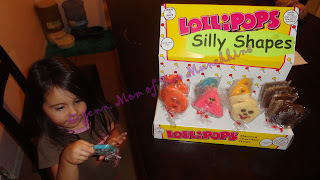 They are great for helping little ones learn their shapes and colors. The flavors include chocolate and vanilla. Jenn, Mom Of Two Munchkins and Happy Green Baby, LLC. are not responsible for shipping of prize. Silly Shapes Pops has the sole responsibility for shipping of prize. Prize value is approximately $6 - $24 depending on prize. Today is the Summer Solstice! (However, this year is a bit off and it actually started yesterday). For people who live in the Northern Hemisphere of the world, today is the longest day of the year and the first official day of summer. In the Arctic Circle, there will be 24 hours of daylight! The summer solstice occurs when the Earth’s axial tilt is closest to the sun. This occurs in late June for the Northern Hemisphere and late December for the Southern Hemisphere. The time of the solstice depends upon your position on Earth and, as a consequence, where you are in relation to the sun. The summer solstice is a significant time for many religions and cultures. Today, people all over the world will mark this important milestone in the year with festivals, gatherings, and rituals. How will you celebrate? Whatever you do, grab your shades/sunscreen and get outside and enjoy the day!! ABCMouse.com is a subscription-based educational website for kids age 2 to 6. This site is easy enough for even the youngest computer users to play games and do activities that will help them begin the journey into reading and other kindergarten skills. Kids earn points when they play games or complete an activity, which they can "spend" at a pretend online store. There are also no ads either! From the colorful kindergarten classroom homepage and learning zoo, to interactive books and songs, there are so many choices here that most pre-school children will be able to come back to this site and find something new to do and learn every time. Even I couldn't believe how many different activities their were. My 4 year old was showing me around! The lessons are broken down into 6 levels. 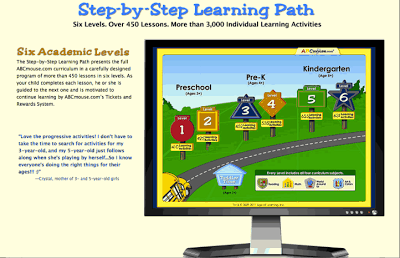 Each level includes 4 Subjects: Reading, Math, The World Around Us and Art & Colors. When your child finishes an activity or lesson, they will earn tickets. The amount of tickets, depends on how difficult the activities/lesson is. They are then able to spend the tickets in the shopping center. Then they are able to go to the shopping center and buy things with their tickets. There is a Pet Store where they can buy animals and stuff for the animals cages, etc. There is also a clothes store, where they can purchase new clothing for their Avatar, etc. Here are some of the great features at ABCmouse.com! We had a lot of fun with ABCmouse. It was an honor to work with them. My 4 year old was extremely excited to get started. She has improved greatly since we began. Even my 3 year old has show progress! He is delayed a bit. So this program is definitely giving him the push he needs. I'm not sure if he will be ready for Pre-K in the fall, but I know I can count on ABCmouse to help get us moving. I also love the reward process that they have. For completing activities on the learning path they can receive tickets. There is also a coin based reward, which they can use to "purchase" pets, supplies and fun things for their virtual bedroom. Such a great way to keep your childrens' minds ready for the upcoming school years! Want to win a year of ABCmouse.com? Just enter using the rafflecopter form below! This giveaway is open WW, but you must be 18+ to enter. So Sew Mama, Happy Green Baby, LLC. and the participating bloggers were not compensated for this post. So Sew Mama received a free sample. All views are 100% her own. Facebook, twitter and pinterest are not affiliated with this giveaway. I am not responsible for sponsor prize fulfillment. What's It Like, Living Green? I think it is important for children to know how to take care of the planet and how easy it can be. Many times kids do not understand that it can be as simple as turning off a light when they leave a room or turning off the water when brushing their teeth. This book is a great tool to teach your children what they can do to "do their part". Check out my Full Review. 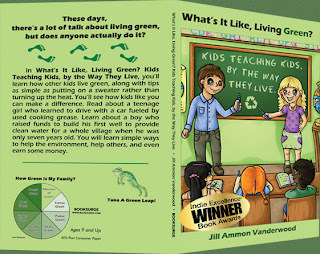 Enter below to win a copy of the What's It Like, Living Green? Kids Teaching Kids book worth $12.99! Jenn, Mom Of Two Munchkins was provided with a free sample of this product to review, and was under no obligation to review it. Nor was Jenn, Mom Of Two Munchkins under any obligation to write a positive review or sponsor a product giveaway in return for the free product. Jenn, Mom Of Two Munchkins and Happy Green Baby, LLC. are not responsible for shipping of prize. Jilll Vanderwood holds full responsibility for prize shipment. Prize value is approximately $12.99. Rock 'N Learn began as an idea that would help kids learn by putting educational information to music that children enjoy and find motivating. Rock 'N Learn programs help youngsters understand math, phonics, reading, early childhood, social studies, Spanish, test-taking strategies, writing, and science. One winner will receive a DVD of their choice! Want to learn more? 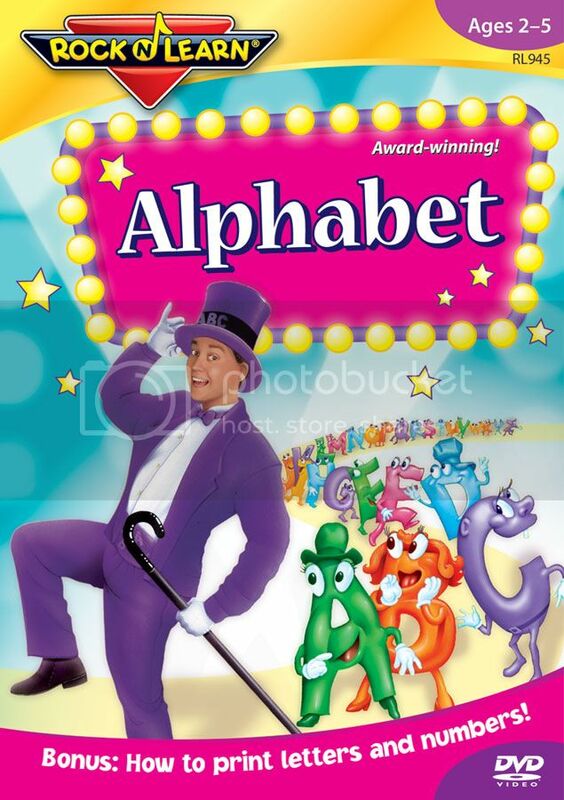 Read Mommy Lesson Plans Alphabet DVD Review!